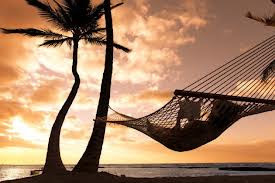 She sat there, resting in the hammock that he had built her on his last visit. She was wondering what he was doing then, if he was hurt. She internally scolded her self, think good things she said. Not a single leaf was moving today, there was no breeze, only a sullen silence. She was about to get up and go back inside the house, she still had dinner to prepare and clothes to wash, lying there in his memories was not a luxury she could afford. Just when she was about to put the gas on , there was a knock on the door. It was her father, there was a tall man holding him up. She couldn't register what was happening. "He's just had too much to drink" the man said. "He'll be fine, you should let him sleep the night out" he said reassuringly. He was just about to excuse himself out of her house when she said a weak "Thank you." He just smiled and was out on his way in no time. She took the shoes off from her father's feet and watched his rhythmic breathing, she remembered the first time she had found him at the bar, the day that had probably changed her life.